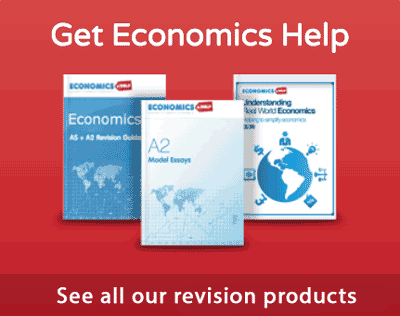 Readers Question: explain how economists define ‘full employment’? The first definition of full employment would be the situation where everyone willing to work at the going wage rate is able to get a job. This would imply that unemployment is zero because if you are not willing to work then you should not be counted as unemployed. To be classified as unemployed you would need to be actively seeking work. This does not mean everyone of working age is in employment. Some adults may leave the labour force, for example, women looking after children. But, in practice, we never see 0% unemployment, and this can make full employment hard to define. Generally, an unemployment rate of 3% or less would be considered to be full employment. Another definition of full employment would be the ‘optimal’ level of unemployment. 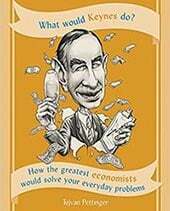 In practice, an economy will never have zero unemployment because there is inevitably some frictional unemployment. This is the unemployment where people take time to find the best job for them. 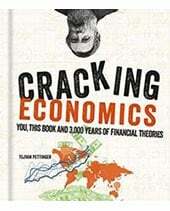 Frictional unemployment is not necessarily a bad thing. It is better people take time to find a job suitable for their skill level, rather than get the first job that comes along. Generally, you may expect frictional unemployment to cause an unemployment rate of 2-3%. Therefore, some economists may claim that unemployment of less than 3% indicates ‘full employment’ – or at least very close. Another way to think of full employment is when the economy is operating at an output level considered to be at full capacity. i.e. it is not possible to increase real output because all resources are fully utilised. This would be a point on a production possibility frontier. It can also be shown in an AD/AS diagram. 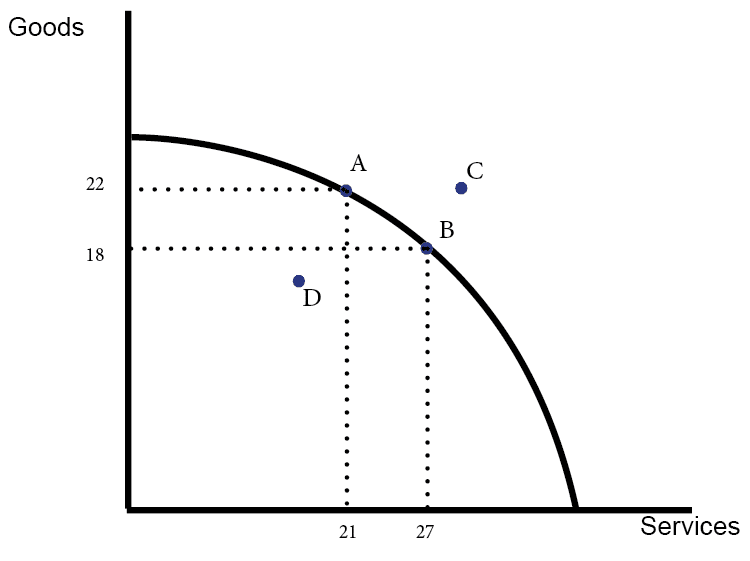 In this diagram full employment would be at an output of Y2. 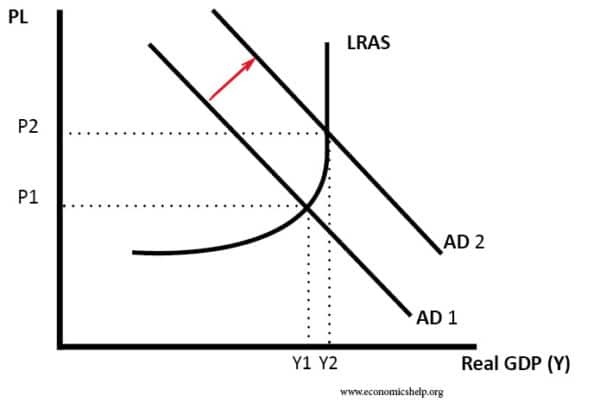 Here any further increase in AD only causes inflation. In practice, it is difficult to know precisely what counts as full employment. Practical reasons make it difficult for every firm to operate at 100% capacity. 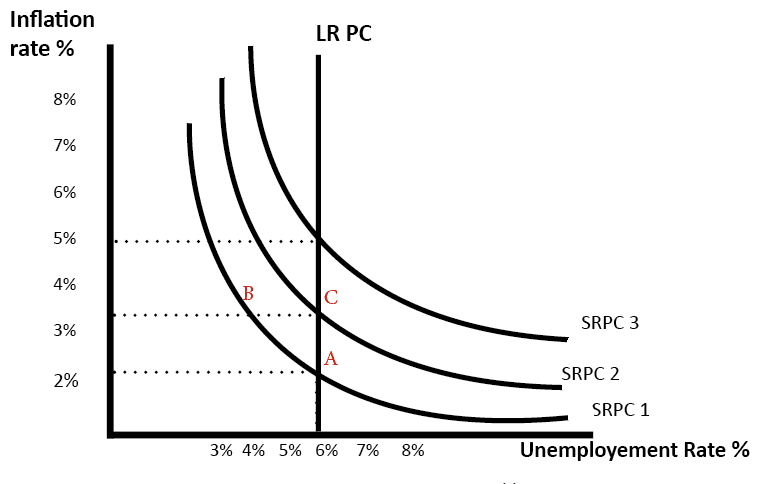 But in order to define full employment, we would say there is no demand-deficient unemployment, only supply-side unemployment (such as frictional/structural). Another way of thinking about full employment is when an economy is experiencing economic growth close to its long-run trend rate. e.g. if productive capacity increases at 2.5% a year, then we need economic growth of 2.5% to keep the economy close to full capacity and full employment. 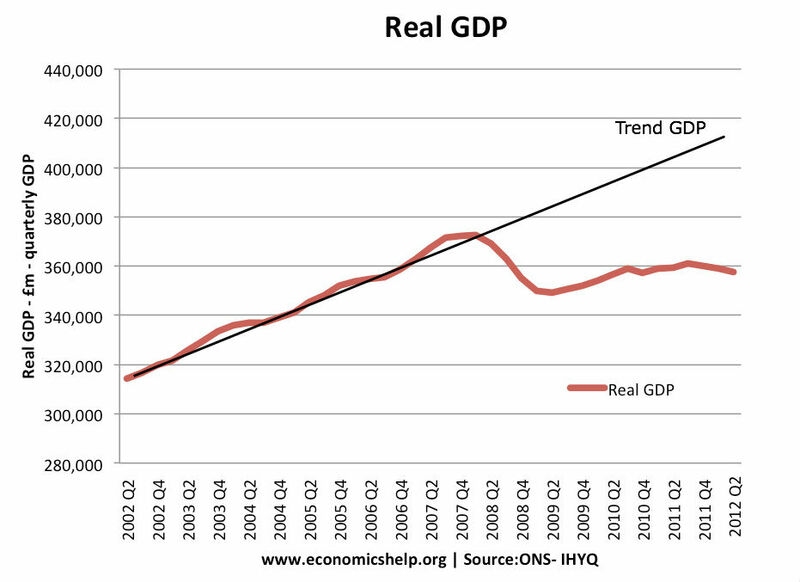 UK growth was close to trend until 2007. 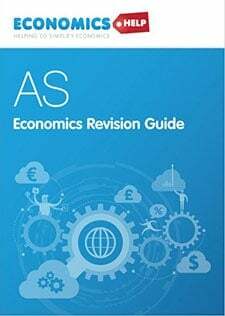 For a developing economy like China, they may need a rate of economic growth of 8%, to keep full employment, because productive capacity and efficiency are increasing much more rapidly due to greater potential for growth. Another related measure of full employment is the level of unemployment when the economy is at the NAIRU rate of inflation. In the above example, ‘full employment’ would be at 6%. This is the level of unemployment with a non-accelerating rate of inflation. Increasing demand would only cause a temporary fall in unemployment and rising inflation. A fall in unemployment from A to B will prove to be only temporary, and after an increase in demand, the economy goes back to point C.
The NAIRU could be quite high due to supply-side factors such as frictional and structural unemployment. 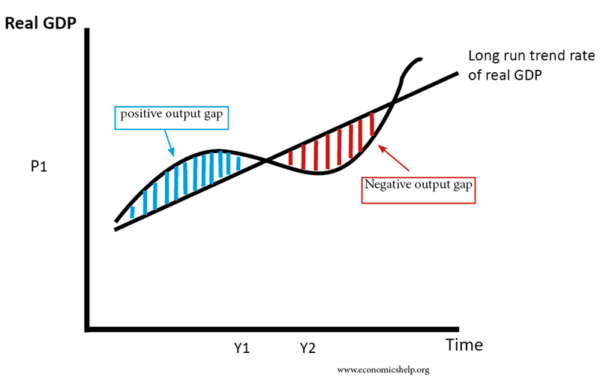 Full employment requires the elimination of a negative output gap. 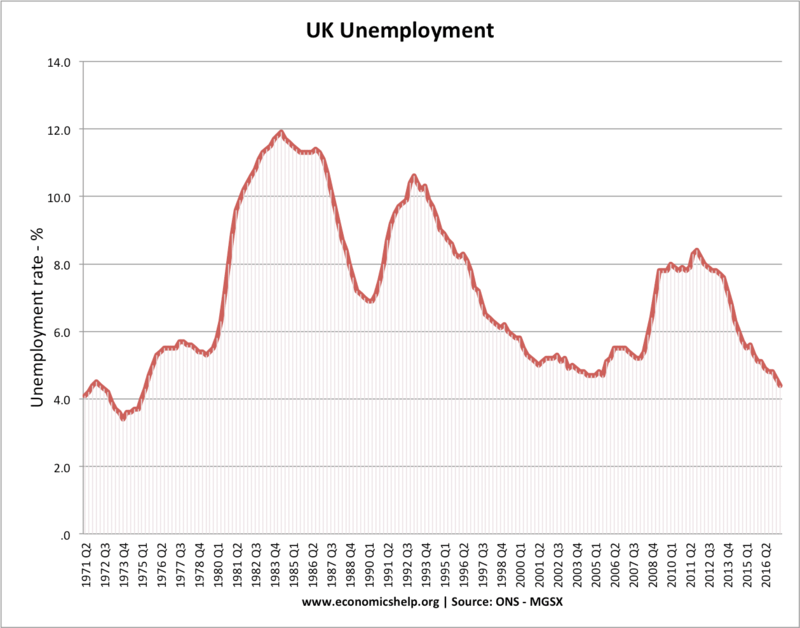 UK unemployment since 1971. Unemployment has rarely fallen below 4%. In 2003-06, unemployment was close to full employment, due to a prolonged period of economic growth. Since 2013, the UK has seen a fall in the natural rate of unemployment as labour markets have become more flexible. If you define full employment as the absence of demand deficient unemployment, then this natural rate will vary over time due to changes in structural unemployment. For example, in the 1980s, the UK had an economic boom, but unemployment only fell to 7% due to structural and geographical unemployment. But, in the 2010s, more flexible labour markets have seen a fall in this natural rate of unemployment. In 2013, the MPC introduced forward guidance, saying there were unlikely to raise interest rates, whilst unemployment was above 7%. This suggests that the MPC felt any unemployment of 7% or more would not cause any demand-pull inflation. Unemployment threshold. However, by 2017, unemployment has fallen to 4.5% without any inflationary pressure. 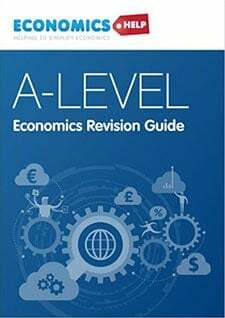 To what extent should the government aim for full employment?